Welcome to a paradise where being rude is illegal and income tax is non-existent. Nicknamed 'City of Gold', Dubai is known for its luxurious living standards. There are trade-offs, of course - expats will have to embrace the bureaucracy, high rent, and the strict, conservative rules in the Islamic state. The city of Dubai is located on the Persian Gulf Coast of the United Arab Emirates (UAE). It is bordered to the south by Abu Dhabi, Sharjah in the northeast and Oman in the south-east. It also lies across the Arabian Desert and has topography marked by sandy desert patterns, with the Western Hajar Mountains bordering it. It also has a natural inlet called Dubai Creek and is dotted with numerous gorges and waterholes. Despite being a land of sand, sand and more sand, Dubai also has a scattering of greenery from date palms to acacia and ghaf trees. Dubai has a hot, arid climate. One is assured of sunny weather throughout the year. Summers are hot and dry, but certainly windy. Dubai's population has constantly been increasing. As of 2006, it has 1,422,000 inhabitants, made up predominantly of males. Dubai nationals make up only 17% of the millions of residents in the city - the rest are expatriates. The expatriate population is 85% Asian: Indian (51%), Pakistani (15%) and Bangladeshi (10%). Recently, though, the city has experienced an influx of more foreign nationals from Western countries like the United States, the United Kingdom, and Australia. Given the interesting mixture of inhabitants in Dubai, the languages used range from Persian to Hindi and Tagalog to Chinese. However, the city's lingua franca is English. Historically, Dubai's economy was dependent on revenue from oil and gas. However, in recent years, Dubai has only contributed to about 2% of the UAE's total gas revenue. This is because of Dubai's shifting economy from being oil and trade-reliant to service and tourism oriented. It has proved to be a change for the better as Dubai's GDP (gross domestic product) registers at US$37 billion, ranking it 37th as a global financial centre. The three largest contributors to Dubai's flourishing economy are the property and construction industries which contribute 22.6% of the city's GDP, trade (16%), and financial services (11%). Being one of the most technologically-advanced cities in the world, Dubai can be considered as a paradise to live in. It is also one of the seven emirates the comprises the country, and Dubai being the most populous of them all. Dubai is a spacious and a hustling city, but it is well built and is prepared for these circumstances. For one, Dubai has a phenomenal public transport. From buses to taxis, and trains to tramways, the city has a road transport authority in the form of RTA (The Roads and Transport Authority). Bus and train fees are strictly regulated, and is collected by the “nol card”, a card that allows you to pay your fees with a digital smart card. The city allows people to easily go from place to place with the city-wide metro. And for your shopping and leisure convenience, the city is also filled with accessible malls and markets that can be reached by the metro and the buses that roam around the city. Dubai is a very busy city and is also home to a lot of companies and businesses that are currently flourishing and are on top of the charts. And if a professional is looking for an opportunity, Dubai is a place to do it. The city’s weather is relatively hot compared with the neighbouring cities. The city also shares its cold days of winter within the four finals months of the year. And when winter comes, it is best to be prepared with jackets and other thick clothing. Matching the city’s highly advanced status is the fast and reliable internet. The city offers a nationwide Wi-Fi connection, the” UAE Wi-Fi”, though only accessible of one’s sim card is registered, it is still extremely convenient for trustworthy all around internet access. The voltage used in the city is 240, so make sure you bring adapters for your gadgets if you want to be able to use them once you touch down in Dubai. There are some shipping/relocation companies that can help you get your bulkier luggage to Dubai. If you're intrigued about the Burj Khalifa, the tallest building in the world, or just plain interested in the wealth of opportunities, then Dubai is the expat destination for you. And even though the city is not known for its freedom, and is highly regulated by numerous laws and restrictions, the city is greatly peaceful, and also a friendly place for expats. From road regulations to establishment rules and laws. 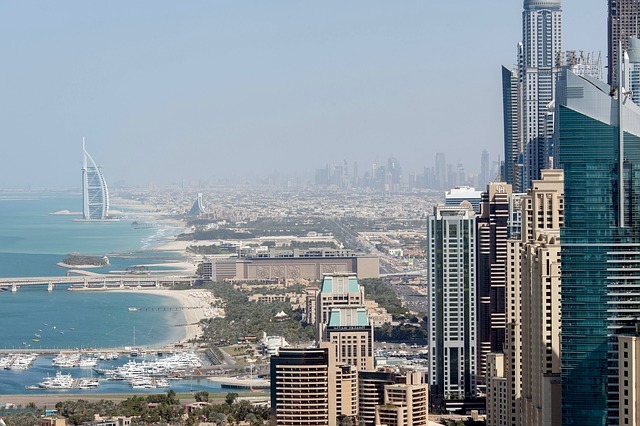 Expats living in Dubai for work are required to apply for a working visa. Application of visa may take place online together with the payment. However, foreigners must first take note whether their country of origin is classified under the countries who are no longer required to acquire a visa. Other option for expats, especially those with family members may have them apply for it on their behalf. There are different kinds of visas available to enter the UAE, including Dubai. This includes entry visas, tourist visas, and transit visas. However, if you want to stay longer than three months or 90 days in Dubai, then a multiple-entry visa is the best choice. A multiple-entry visa or residence visa is applicable for those who are working in Dubai or for employers in Dubai or those interested in establishing a business in the city. These visas are valid from six months to three years. The basic requirements are coloured passport-sized photos, a passport valid for at least six months, Visa application form filled out in duplicate, a letter from your sponsor and a letter from the prospective employer where applicable. Processing fees are about 1000 DH (UAE Dirham) or US$272.29. To be on the safe side, keep your bank account and credit cards from your home country when you move to Dubai. You may be staying in the region for several years, but should you need cash in emergencies, it is good to have other resources as backup. A wide range of financial institutions and automated teller machines (ATM) can be located within the city, so extra cash when you need it is not an issue. Unless you apply for a local bank account, minimal charges will be levied on foreign bank transactions. A trick to do away with this is to have a home bank that has branches in Dubai. Citibank, for example, offers zero transaction charge for cash withdrawals from their ATM in another country. Don't forget to bring a supply of medications and must haves like eye drops, lip balm, and eyewear or sunglasses. Bring along a plug adaptor or universal adaptor for all the electrical gadgets you brought with you. Leave behind bulky household appliances like televisions. Dubai is a modern city, and almost everything is available. While you can't bear the thought of parting with your plants, leave them be. The weather in Dubai, first of all, will not suit them and may not be worth all the hassle and paperwork, so might as well skip the overseas shipping when moving to Dubai. The standard drugs, narcotics and chemicals prohibition, are strictly enforced. Breaking the rules on these prohibitions will lead to incarceration followed by deportation. The government site lists all other banned items, which include pornographic materials, organic and chemical fertilisers, ‘books or magazines which do not adhere to the religious and moral values of the UAE' and the like. The site also provides a complete listing of banned and controlled drugs, so make sure your medications can pass customs. If in case they do end up on the list, and for medical and emergency reasons you still have to bring them with you, prepare proper documentation by having ready your prescriptions as well as a medical report suitably attested by your attending physician (and with support from a Dubai-based medical practitioner). More than three months worth of medication is also prohibited. For further medical advice, you can contact the DOHMS Pharmacy Technical Committee. Dubai is a major destination for expat professionals due to one of many things - its tax-free status. Offering a salary range competitive with the West, the region is a personal tax haven, hence greater net income. It is also well-known as a luxurious city best for people who like living the high life. The population in Dubai is high, and it is the most populous in the entire UAE at 2.5 million as of January 2016. One of the reasons is because of the influx of foreign assignees in the city. Many of the people living here are working in multinational companies especially in information technology and tourism sector. The process of paying utility fees in Dubai has been made simple by the government. There have been ways such as electronic payment wherein residents may pay online through the Dubai Smart Government services such as the ePay, mParking, and DEWA (Dubai Water and Electricity Authority). Another option for paying bills in the city is through private banks. Anyone who has been to Dubai would be the best person to describe how lavish their shopping malls are. Expats would have fun strolling around WAFI Mall, Mall of the Emirates and the huge Dubai Mall. Sales are almost everywhere in these shopping malls too. 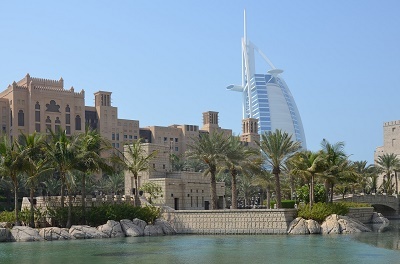 Expat kids would also love it here as Dubai has tonnes of outdoor attractions such as the Ski Dubai, Dubai Aquarium & Underwater Zoo, Wild Wadi Waterpark and Dubai Ice Rink. Even if Dubai has already been an open city, the primary religion here is still Muslim. For this same reason, expats are still required to dress modestly inside the city. One of the festivities that is yearly celebrated in Dubai is Ramadan. At this time, visitors are more welcome to visit experience the local culture of the city. However, bars and restaurants are closed during daylight and only resumes by 7 in the evening. Dubai was ranked as the 25th most expensive city in the world to live in. Yet the number of expatriates continues to grow in this city. Not many can resist the lure of the 33rd richest city in the world. Dubai has a reputation for being one of the most luxurious cities in the world, where foreign assignees can have the time of their lives experiencing the highest quality of living. However, there are other options available for expats in the city if the luxury life isn't really your style. Due to inflation, the global economic crisis, and the rising demand for property, housing in Dubai now comes with a high price tag. However, this should be you not turn you away from the bounty of opportunities waiting for you in Dubai. With the ongoing construction of more housing options in Dubai, worries about costs are sure to be allayed as the demand for real estate is gradually responded to. At the same time, if you are moving to Dubai for employment, more often than not, housing provisions are included in your accommodation package. Just don't expect five-star lodging. For singles, renting a shared apartment would be best. Monthly rent is about 2,000 AED (UAE Dirham) or US$544.59 while a family can rent a furnished two-bedroom flat or apartment for about 7000 AED or US$1906.06. If you are considering buying property outside of Dubai city centre, the price per square meter is around US$3,500 or 12,853.75 AED, half of the cost of purchasing something within the city centre. With 200 nationalities mingling in this city, you are sure to find not just persons from different continents, but cuisines from all over the world. If you would like to try the local fare, the most common and probably the cheapest Arabian delicacy you could get your hands (and mouth) on would be shawarma, made of strips of beef wrapped in pita bread with tomatoes, onions, and a zesty dressing. 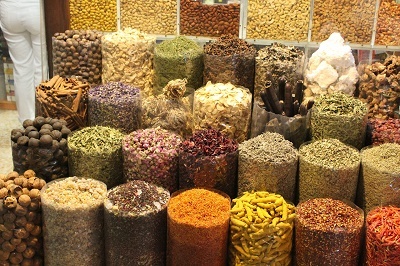 Prices may range from 3.75 AED (US$1) to 5 AED (US$1.36) depending on add-ons and more exotic varieties. Western restaurants and fast food chains are also found in the numerous malls in Dubai. TGI Fridays, McDonald's, and KFC are some of the common Western food haunts. A fast-food combo meal costs about 5.25 AED (US$1.41). If you prefer preparing meals at home (which is the cheapest option), basics like milk cost around 5.50 AED (US$1.50), a loaf of bread is 3.00 AED (US$0.82), a dozen eggs costs 6.25 AED (US$1.70), a kilo of potatoes around 3.75 AED (US$1.02), and a kilo of chicken is 15.00 AED (US$4.08). The cost for utilities is reasonable. The monthly cost of electricity and water is around 200 AED (US$50.46) while the monthly rate for cable TV can cost up to 250 AED (US$68.07).Communication costs such as landline phone connections are around 70 AED (US$19.06) per quarter while DSL connection is roughly 250 AED (US$68.07). One of the cheaper living costs in Dubai is the cost of transportation. As far as petrol is concerned, it's 6.25 AED (US$1.70) per gallon while public transport fares like taxicabs start at about 3 AED (US$0.82). Stop daydreaming about Dubai, make a bold move and realise that the benefits of relocating far outweigh the costs. It's a life choice. 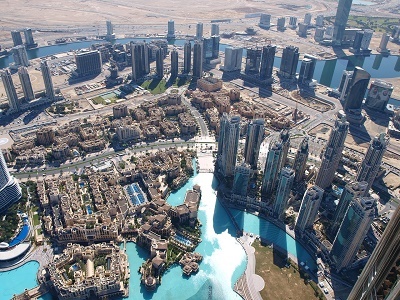 Dubai shows no sign of being hit by financial crises in 2009. Today, it stands as one of the top destinations of career seekers in the Middle East and holds almost 80% of the Emirate’s total workforce. With its dynamic economy, it is no wonder why so many expats consider their move here as being one step closer to success. This oil-rich second largest emirate of the UAE has a very diverse work population which is composed of employees of 200 different nationalities. Expats who are planning on working here shouldn’t worry much about the language barrier or culture shock because there’s a high probability that they’ll bump into someone from their home country. 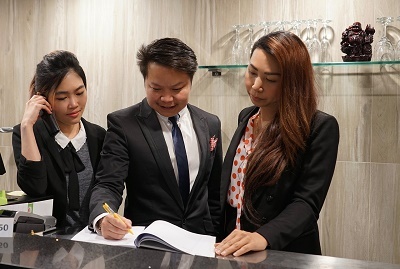 But despite the multi-cultural society and potential for success, it is still important for aspiring foreign assignees to familiarise themselves on several important factors such as local business ethics and work schedule to ensure a smooth sailing career in Dubai. The major job industries in Dubai are real estate and construction, oil, diamond and gold, and logistics. There are also major industry zones such as Knowledge Village, Media City, Healthcare City, and Dubai International Financial Centre. These industrial zones make Dubai a prime target for business real estate and a strong hub for finance and commerce in the Middle East. The biggest number of employees in Dubai is in construction or craft related work, with 385,710 workers. It is closely followed by those in the service and sales industry with 140,119 employees. The dynamic labour situation in Dubai is another plus factor. 650 companies have established businesses in the city's free-trade zones, and an average of 20 is added per week. Since 2015, Dubai has been the headquarters of several large companies that expats can add on their job hunting list. Other thriving industries in Dubai include tourism, construction, finance, trade and the service sector. The primary reason why Dubai is such a hotspot for expatriates is, first and foremost, the tax-free salary. In Dubai, a mid-level manager in a company earns 5,000 to 30,000 AED (UAE Dirham), which is equivalent to USD 1,361.47 to 8,168.84 monthly. This adds up to USD 16,337.64 to 98,023.68 annually. Normally, if you take say 30% taxes from this annual cost, you'd lose somewhere around 20 to 30 thousand from what you've earned. But in Dubai, you get every cent of your income. And this not only applies to higher or managerial positions, but this also applies to all employees. One of the most common jobs for expatriates is in the field of teaching. Salaries for a teaching job in a university may range from 3,000 to as high as 22,000 AED (US$816.88 to US$5990.48). Since the city wants to get the best of the best when it comes to their workers, they also offer accommodation and transportation provisions for qualified employees. The typical work day in Dubai starts at around 8:30 or 9 am and ends at around 5:30 or 6 pm. Most weekly hours vary with every company and business sector, but the total ranges from 40 to 48 hours per week. Expats or employees working in the public sector have shorter schedule which is usually from 7:30 am to 2:30 pm. Any excess job rendered beyond eight hours is already considered as overtime and should be paid at 1.25 times the fixed hourly rate of the employee. Expats will notice that during Ramadan, a huge majority of companies reduce 2 hours of work to give way to their Muslim employees who fast during daylight hours. Weekends in Dubai also start on Friday and ends on Saturday. In Dubai, visitors and expats are expected to show respect for the city's work culture. Although you are not expected to wear their traditional clothing, it is best to steer clear of sleeveless tops, and short skirts or shorts for women to avoid unwanted attention, especially in the workplace. Men are also expected to be in decent garb, and business suits are appropriate in an office setting. Also, physical contact with women, especially with the city's nationals is to be kept to a respectful minimum. You may only shake hands with women when it is offered. Always carry a copy of your paperwork (like passports, visas, and work permits) with you and make sure that the originals are placed in a safe but accessible location. The government may do periodic checks, or you may find yourself in need of them in certain situations. It is highly recommended that you secure a job before relocating to Dubai. However, it is still possible to look for a job if you arrive in Dubai as a tourist. You can only start work after you have obtained a work permit.